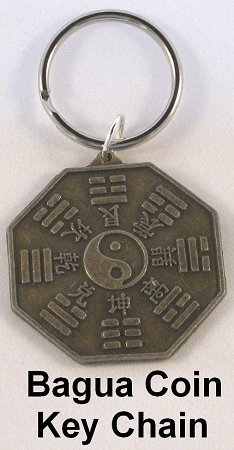 35mm Bagua Coin charm hanging from a 1 inch loop, perfect as a Feng Shui key chain. 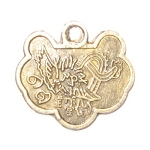 Bagua Coin charm is a reproduction of an ancient Chinese good luck coin. The Bagua Coin charm design includes auspicious Tai Chi symbol (Yin and Yang), Trigrams, and good luck Chinese symbols on the front. On the back of the Bagua Coin charm there are Chinese characters that attract wealth and characters that state "drive away evil spirits." 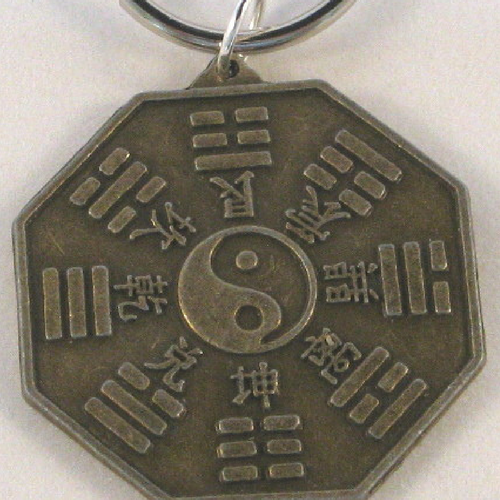 This Feng Shui Bagua Coin Key Chain will enhance your economic energy and protect you and your family from negative energy and harm. Carry all your keys on this lucky key chain - it will protect you at all times. It will also protect your car, home, office, and whatever else your keys are used for. 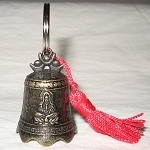 Exclusive to Zen Appeal!